In the August 21, 2018 Ask The Headhunter Newsletter we take a hard look at the death of HR at the hands of database firms that make money when you don’t find a job — and when employers don’t fill jobs. 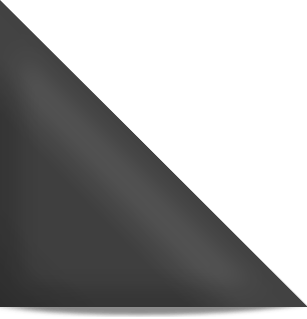 Can HR be saved? HR (Human Resources) may be a close second — when HR actually goes out to look for and recruit workers. But ZipRecruiter, Indeed, LinkedIn and a league of database companies have succeeded in killing HR’s recruiting role — and the initiative of hiring managers. Stripped of the function that once gave HR bragging rights for a company’s most competitive advantage — hiring great workers — HR now serves as little more than the fire hose that overwhelms companies with millions of inappropriate incoming job applications, and as the spigot that pours billions of corporate dollars into the pockets of database jockeys who know nothing about matching real people to real jobs. This commercial — and others like it — have literally killed recruiting because they have replaced it in employers’ minds with a substitute that has no nutritional value. A massive marketing campaign driven by database jockeys has replaced people — workers, job seekers, the actual talent — with automated streams of keywords and database records. Employers have de-funded real recruiting to the point where the task no longer has anything to do with actively pursuing, seducing, cajoling, convincing the best people to join your company. How can a 30-second commercial kill an entire profession? The success of this campaign to automate recruiting and bury HR is due not only to its persistence, but to the acquiescence of the HR profession itself. With few notable exceptions, HR executives and professional associations across the board have slit HR’s throat and outsourced HR’s key job to database jockeys who have wowed them with “high tech solutions.” The HR profession as a whole was never very secure in the C-suite, and never very bright, so it folded quickly when fast-talking salespeople embarrassed its leaders with big terms like “algorithm” and “database” and “intelligent agents” and “semantic processing” — terms so misapplied and misconstrued in the HR context that they are laughable. So, HR arrived fully brainwashed into a new era and promptly ran the talent ship aground in the shoals of the job boards, taking big parts of the economy down with it. TV commercials like the one above from ZipRecruiter pound four dangerous ideas into the heads of corporate leaders, HR executives and hiring managers. Recruiting and hiring are nasty work nobody wants to do. Recruiting and hiring are very difficult tasks. Nobody is good at recruiting and hiring. 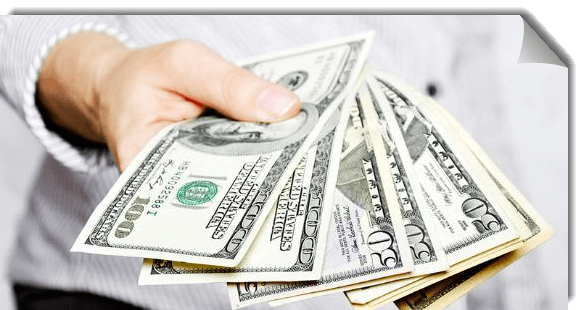 ZipRecruiter (and Indeed and LinkedIn and other database companies) will do it for you if you pay them. The trouble is, none of that is true. Those are some of the most dangerous lies ever created by marketing copy writers. Recruiting and hiring are mission-critical tasks best done by you and your company — face-to-face, not by diddling a keyboard to pay a middle man who pretends to do it for you. Recruiting and hiring are so critical to your company’s mission that leaving them to firms that have no skin in the game is not only irresponsible — it’s an insane fool’s errand. 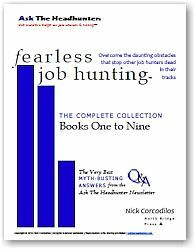 The truth: Hiring is your job; your number-one job. When ZipRecruiter characterizes hiring as something “huge” — something beyond you and your company — Zip disparages you and insults you. It also convinces you that the most important part of your job is a problem you should unload. The truth: If you’re spending endless hours on job sites, diddling databases, and sorting keywords, then I guarantee you have nothing to show for it — because that’s not where hires come from. But that’s what ZipRecruiter sells — databases and keywords! 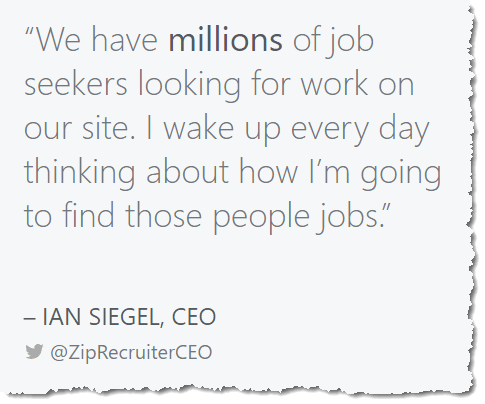 Zip, Indeed, Glassdoor, LinkedIn and countless others of their ilk sell an excuse for not recruiting and hiring. If you want something to show for your recruiting efforts, invest your time participating actively in your professional community, cultivating and meeting the movers and shakers and opinion makers who know all the best workers. Share valuable experiences with your peers and they will lead you to great people you can hire. No one ever wasted their time talking with peers. The truth: This is the biggest lie. ZipRecruiter and its ilk have not figured out hiring. They figured out their own business plan: how to make money. These companies make money when you do not fill jobs. They make money when you keep searching their databases looking for hires. If ZipRecruiter had figured out hiring, its home page and its marketing would blare out audited metrics about employers’ success rates when they pay Zip for lists of job seekers. But that’s not what Zip has figured out, and it’s not what Zip is selling you or what you’re paying for. If you work in HR and this strikes you as an unreasonable criticism, call me when ZipRecruiter starts charging you only for the applicants you actually hire. The truth: If you work in HR, or if you’re a hiring manager — you know, one of those people who pays ZipRecruiter to deliver millions of candidate applications — you can put your job posting all over the web yourself. While it’s true Zip does that, too, you don’t need it. The secret sauce of the web is that it’s designed so anyone can find anyone else easily. The truth: ZipRecruiter makes no claims about how often it sends employers “the right people.” That’s left to the actor playing the restaurant owner in the commercial. Let’s do a reality check. Not to pick on ZipRecruiter alone, let’s check another major “online recruiting service,” Jobvite. We’re looking for success metrics. Do the math. 270,000/54 million is 0.5% — a one-half of one percent success rate for job seekers. While one might argue that there cannot possibly be a job for every job seeker, the more evident problem is that a robustly designed system should not indiscriminately snort 53,730,000 job seekers just so it can spit out a fraction of 1% into jobs. Finding the best people to recruit is not a database problem. Hiring is not a database problem. Let’s do another reality check. ZipRecruiter claims it has “over 8 million jobs.” The U.S. Department of Labor reported on June 5, 2018 that there were only 6.7 million jobs available during the month of April. Ask any job seeker — they already know something is very wrong with all those job postings. Let’s ask the restaurateur, just who are the “right people” for 1.3 million non-existent jobs? The truth: The manager in the commercial closes his laptop after apparently posting a job. How has ZipRecruiter solved his “huge challenge” of hiring so quickly? 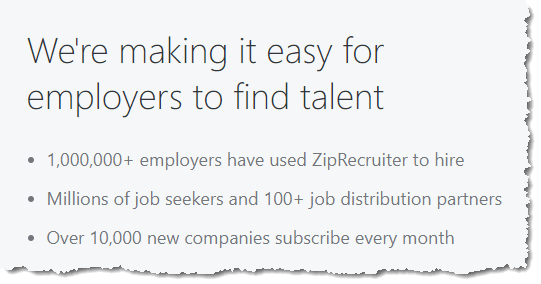 How has Zip made it so easy for him to find talent? It’s frighteningly stupid. Zip has eliminated the very best filters in the hiring process. Zip has cut out all the humans with specialized training in Human Resources, Engineering, Finance, the restaurant business, and a multitude of other professional disciplines — all the humans who are qualified to judge the myriad qualities that make the best candidate special. None of them are needed in this business model. Zip has made it all easier by replacing expert judgment with recruiting technology so trivial it has generated a false talent shortage. Ask any job seeker. They’ll tell you they feel like a drop of water in a fire hose turned on employers — one of the 49,106,149 applicants delivered in the sales pitch Zip makes to employers. Except when Zip promises just the one right person, delivered the same day. Zip offers no success-rate metrics (audited or otherwise) about hiring or getting hired. The guy in the commercial does that. ZipRecruiter CEO Ian Siegel has raised tens of millions of dollars in venture funding for his company (see recode), valuing it at close to $1 billion. While he offers no explanation on his website about how he finds jobs for people — or how he fills jobs for employers that pay him to deliver tens of millions of job applications — he says he wakes up every day thinking about it. If Siegel and his ilk are to be recognized for anything, it’s for a business model that produces profits without results. They have designed marketing campaigns that have killed off HR and what was once known as recruiting. They don’t make money when jobs are filled. They make money when you don’t fill jobs and don’t get hired. Their business model requires that you keep paying to search their databases. If HR is going to be brought back to life, it has to remove its recruiting prosthetics, shake off the ZipRecruiters and Indeeds that are sucking its blood, and flex its hiring muscles again. A company’s best hope for finding and hiring great workers is its own managers and a healthy, robust HR department. I just showed you a TV commercial that I think undermines and insults HR professionals, hiring managers and business owners by trivializing one of the most critical tasks in any business — hiring. But ZipRecruiter is not alone. We’ve discussed the stunning failures of Glassdoor, Indeed, LinkedIn, Monster, CareerBuilder and TheLadders, among others. Here’s another example of a commercial that kills HR — from Indeed. Can you find the holes in this “#1 job site” and explain to us how the commercial corrupts HR and undermines effective recruiting, hiring and job hunting? Or am I unreasonable and nuts? 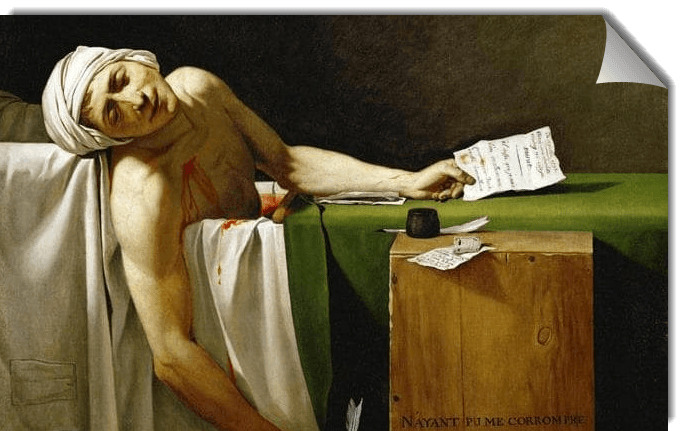 Is HR really dead? Is real recruiting a dead art? Are these commercials a marketing plot to undermine the hiring process so database jockeys can profit from the resulting mess? Maybe you think our modern hiring systems are just fine. If you think some other bugaboo makes it unreasonably hard to hire and get hired, please tell us what it is. In the August 14, 2018 Ask The Headhunter Newsletter a reader complains about the difficulties in changing careers — and about the costs. So we’re going to discuss career switchers in this special audio edition! Hope you enjoy it! I’ve been around the block a few times, that is, I’ve changed jobs. It was never easy, except for one job I got from a personal referral without even a job interview. But nothing prepared me for changing professions. I’ve all but concluded it’s impossible. Even if I could do it, now I question whether it’s worth it because of the haircut I’d have to take in pay. I’m a successful IT executive. I always wanted to work in investment banking. Everyone told me I’d better get an MBA, so I did. Even the school — a big name — promoted its program as a “career changer.” After a huge tuition bill and three years working diligently at getting into the investment world, I realize career change is a game no one wants to play with you because they’re never going to see what you can do, only what you’ve done. Employers can’t get past the labels. I tried everything from job boards to headhunters to networking meetings to expensive career and life coaches. Can you tell me something I don’t know? Should I give up? I wouldn’t give up, and I hope you learn something you don’t know in this special audio edition of Ask The Headhunter. I’m going to let my good buddy Dr. Dawn Graham, Director of Career Management for the MBA program for executives at The Wharton School, answer this one. A former headhunter, Dawn is also a clinical psychologist and she hosts a weekly radio show — “Career Talk” — where I’ve been a guest many times. 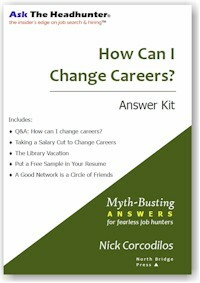 That’s from Graham’s new book, Switchers, which is a how-to guide for people like you who are pursuing career change. Graham notes that the average time a person spends in a job these days is 4.2 years, so job change of one type or another is quite common. However, she offers the same caution you’ve heard from me here on Ask The Headhunter: Job change is not as easy as LinkedIn, ZipRecruiter and Indeed suggest it is. 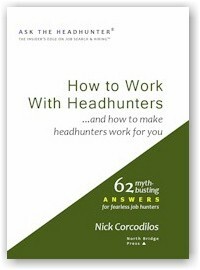 A radio talk show goes quickly, so it’s not possible to get into a topic in great depth — but I thought we could have a little fun with an audio edition of Ask The Headhunter and help the reader who asked this week’s question. I hope you enjoy this little experiment — and that you chime in with your own advice! Let’s start by discussing the two main kinds of career “switch” a person might attempt: the industry switch and the functional switch. Or both! The important insight is that the traditional hiring process has not shifted to make switching easier. Does the hiring manager think you’re too risky a hire? Are some switches more difficult than others? Headhunters and hiring managers are usually averse to risk, so they go for the easy candidates; the ones who are a clear fit with lots of relevant experience. But you may have visions of a radically new career — and none of this seems fair. Understanding the hiring manager’s mindset will help you deal with the natural biases of hiring managers — and with the inevitable role of emotions in hiring. What are some fundamental laws of psychology that you need to know? What you think the employer wants, and what they really want, may be two totally different things. Can a candidate figure out what a manager really wants? No one wants to take a salary haircut when they change jobs. How realistic is that when changing careers? Do you really need more education to get the job you want? More important, does the employer think the education you’re buying is going to make you a more desirable hire? 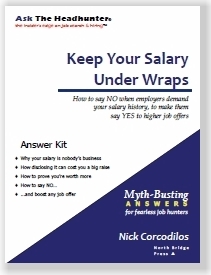 Do these excerpts give you some ideas about how to change your approach to switching careers? I hope they at least encourage you to not lose heart and to not stop trying — but to modify your approach a bit. On the “Career Talk” program we just touched on a few important ideas about switching careers. In her book, Dawn Graham gets into loads of detail, methods and techniques for making career switches. 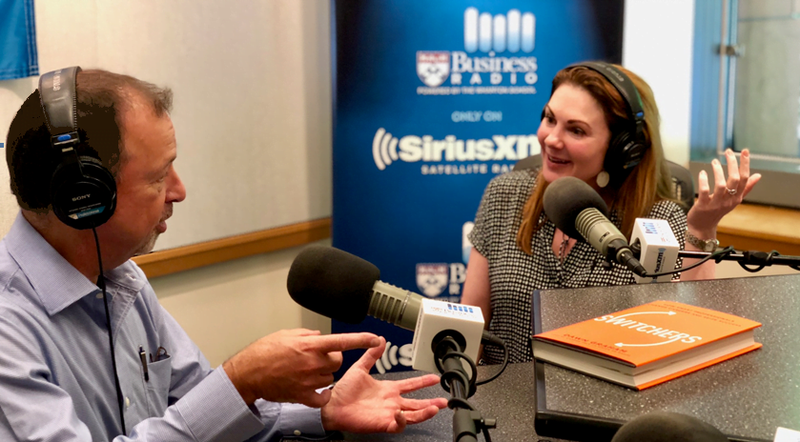 It’s the kind of advice she delivers every day to Executive MBA students at Wharton to help them with their career goals. You’ll have to look long and far to find a column where I’ve endorsed a book — this is one of those rare times. 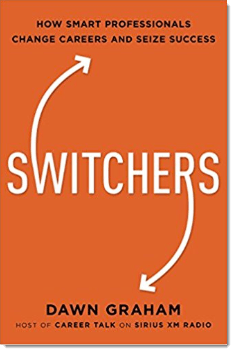 Switchers: How smart professionals change careers and seize success (AMACOM, 2018) is a great tutorial from an accomplished expert I respect. My goal here, with you, is to riff on what we just heard on the audio excerpts, and to launch some discussion on how to make career change happen. Do you find the issues Graham raises helpful? Is there really a distinction between job change and career change, and is one more challenging than the other? Should I disclose autism on my resume? In the August 7, 2018 Ask The Headhunter Newsletter we discuss what employers need to know about your autism. My son is a college graduate on the autism spectrum. Should he hint at his disability on his resume? Interviewers are surprised when they first meet him, and the interview goes south. This is a tough call. A good answer depends on being able to assess your son’s condition, which I obviously cannot do. But I can offer an example that might help you think about this in a useful way. A young man approached me after a presentation I did recently and raised the same question. He quietly disclosed that he’s “on the spectrum.” Through conversation I quickly learned that this Millennial is articulate, friendly, smart, self-motivated, a bit nervous but focused. His social skills are good. While I could see evidence of autism, I also saw the kind of enthusiasm and acumen I’d want in a job candidate. We discussed his work skills in some detail — he’s an accountant — and I learned enough that I’d recommend him to an employer for a job interview. But you can imagine that if all an employer sees is his resume with a disclosure that he’s autistic, the employer might reject his resume out of hand. (That might be unfair and inappropriate — and possibly illegal — but it’s what happens every day.) And that’s the problem. A resume — for anyone, not just for a person with a disability — is an insufficient representation of who they are and what they can do. It’s a poor “marketing tool” no matter how well it is written. (See Resume Blasphemy.) I’ll tell you what I say even to top executives with stellar credentials: Your resume cannot defend you. What do I mean by that? Every resume raises more questions and concerns than it can possibly answer. A manager reading a resume thinks thoughts and draws quick conclusions — on average, in just six seconds — that we cannot imagine or anticipate. So, it’s not prudent to trust that dopey document to get us a job interview. 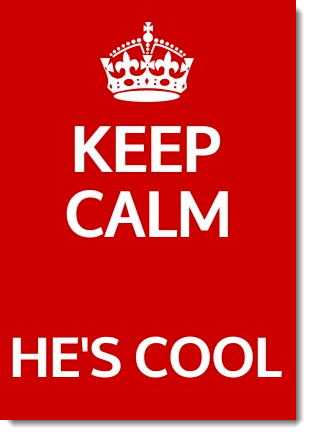 If your son discloses that he’s autistic on his resume, we cannot predict the outcome. An employer might make the worst assumptions and ignore him altogether. Or, they may bring him in so they can check off a box on their Equal Opportunity report, without hiring him. Of course, it could also lead to a hire, if the employer genuinely believes in staffing diversity. It’s hard to guess, and you shouldn’t try. What your son should do is maximize his chances of getting a job interview by getting referred and recommended by someone the employer trusts. My guess is there are jobs where your son would perform well, even if he requires some accommodation. (For more information about accommodations, read this report: Employees with Asperger Syndrome.) By getting referred to such employers through a personal connection, disclosure of his autism would be done in a frank but supportive way. In other words, the person making the referral can both endorse your son and defend him when questions about autism arise. That breaks down the wall like no resume can. It eliminates the surprise factor. Someone the employer trusts is disclosing the disability, but in a useful context that emphasizes John can do the work and would make a good employee. Whether a job applicant has a disability or not, this is what any good employer wants to know first and foremost. It’s what leads to job interviews and job offers. When something on a resume surprises an employer, it often leads to automatic rejection. Likewise, you don’t want an interviewer to be surprised. You want them to know exactly who they’re about to meet — someone that a trusted contact has endorsed and recommended. So my advice is, don’t rely on a resume that cannot possibly defend or advocate for your son. Only someone who can personally recommend him can or will do that. I know it’s hard work to line that up, but this is the exact same advice I teach to executives at the top business (MBA) schools including Wharton, Cornell, Northwestern, UCLA, Harvard and Rutgers. No one can afford to rely on a Word document to “get them in the door,” whether they’ve got autism or not. Please don’t assume that lining up a good personal recommendation is a daunting task. It requires work and effort, but it’s the critical first step toward landing a new job. You might find the suggestions in this article a good start: Ask The Headhunter In A Nutshell: The short course. It’s helped many people get past all kinds of obstacles. Discrimination in hiring is illegal. If your son believes an employer has violated the law, he should consult a good employment attorney. But his goal should be to find an employer who’s goal is to hire good workers — and my goal is to offer advice that will help your son get past obstacles that might keep him away from employers who’d love to fill a job with a good applicant. If you have a disability, how do you manage your job search to avoid bias and rejection? How can this reader use personal referrals to get in the door?